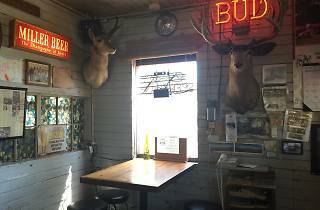 This unassuming galvanized tin shack on the side of the road houses a not-so-secret gem: Ernie's Tin Bar, a teeny tiny watering hole with a surprisingly good beer selection (think Drake's Nitro Stout and North Coast Puck Saison) for very reasonable prices. Grab a stool next to a grizzled local or a looky-loo tourist (the Tin Bar draws many) and peruse the chalkboard menu of just under 20 selections. 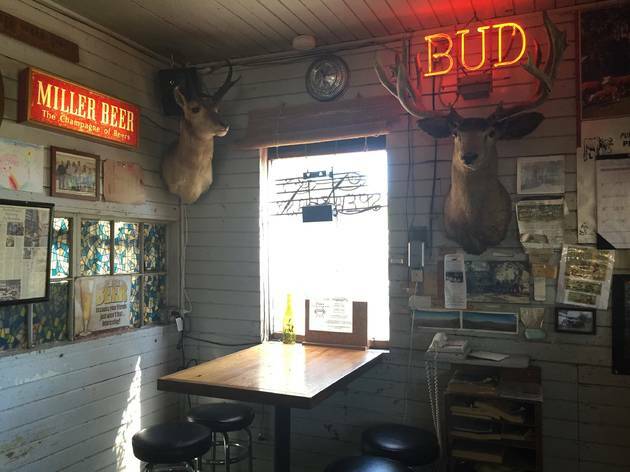 While enjoying your brew, eavesdrop on the bartenders for a peek into what the locals are up to, and take in the scenery: glowing neon beer signs, many mounted deer heads and relics of a bygone era, including peeling paper calendars and a telephone with a cord that could stretch clear across the bar. After a weekend of fancy schmancy wine tasting, this might be just the tipple you need, but take note: The bathrooms are outhouses and there are no cell phones allowed, no exceptions.